Hardeveld Lodge is situated 65 km north of Vanrhynsdorp and 16 km south of Bitterfontein. This lodge is ideally situated to use as a base to explore all the wonders of the region. It is also the perfect stopover when travelling between Cape Town and Namibia, the N7 route. 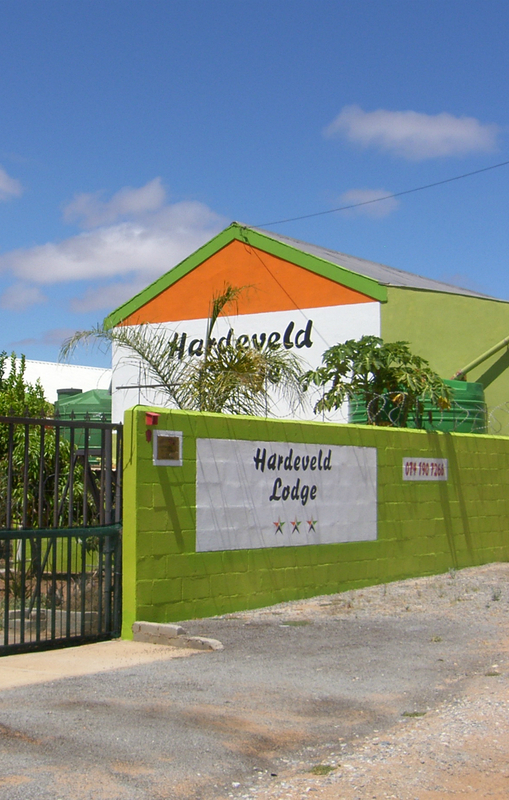 The lodge offers camping facilities with ablutions of the highest standard. There is a lapa braai and undercover braai area for not so good weather times. Please enquire about our dog friendly policy. Wi-Fi available. Meals (optional extra). Dinner R120 p/p and Breakfast R80 p/p.